EPISODE 1 Do I Need a Weight Psychologist? In this video, Glenn helps you understand what a weight management psychologist is and how they can help you find the success you want in weight management. Welcome to Thursday Therapy. 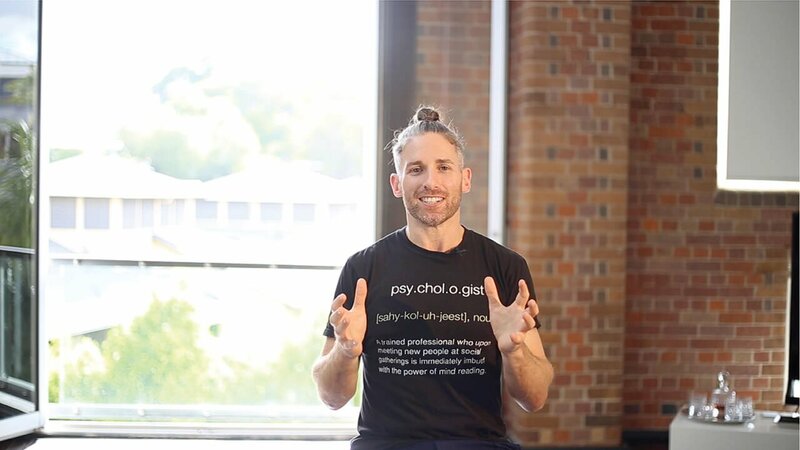 I’m Glenn Mackintosh, the weight psych, and I’ll be answering your questions around the psychology of eating, drinking, movement, body image and the whole weight management area. The question that I want to answer today is one that a lot of people have written in with and one that I get all the time is; Do I need to see a weight management psychologist? What is a weight management psychologist? How can psychology for weight help me? I remember being asked this question in an interview about 10 years ago “What is a weight management psychologist?” and I think that I was the person who coined this term. Since then I’ve been confused for all sorts of things. I say I work as a psychologist specializing in weight management and people say; “Oh, so you’re like a like a personal trainer?” like, no I’m not exactly a personal trainer and then people go; “You’re a dietitian, you’d tell people what to eat?” I’m like no, no, no that’s not what I do, I’m a psychologist and people think; “Oh, so you’re a clinical psychologist you help people who have mental health problems and then they get over their mental health problems and then they lose weight?” and that’s not exactly what I do either. To help understand whether weight management psychology is important for you, I want you to think about some of the barriers that you might have to being able to reach and sustain a natural weight for you, what to eat in the way that you want, to move in the way they want to, to drink in the way that you want to. If things like body image issues, or emotional eating, or embarrassment when it comes to exercise, or swinging between dieting and overeating come to mind, then of course these things are all psychological. You may not have any mental health conditions but these things are of a psychological nature and I believe that psychology, while being important for people who do have mental health conditions, can be of use to the everyday person. So, the type of psychology that weight management psychology fits into is what we call ‘health psychology’ where we’re using mental strategies to help you become physically healthier. So, in determining whether it could be useful for you to do some more work around weight management psychology, have a think about the goals that you want to reach and then think what percentage of me reaching these goals is up here. What percentage of my success is resting on me making the right psychological transformations, and then once you’ve done that, I want you to think about how much time and effort and energy and money you have dedicated specifically to transforming your mind. If you’re like most people that I speak to, they don’t really add up that the importance of the psychology isn’t reflected in the dedication that you give to it and if that’s the case then Thursday Therapy is going to be wonderful for you. If you think that that will be something that’s interesting to you, if you think learning more about the psychology of eating, movement, body image, drinking and this whole weight management area would be of value to you, please subscribe to our YouTube channel for regular Thursday Therapy. If you think that someone you know might benefit from Thursday Therapy, please share it with them. We live in a world now where it’s normal for people to have these issues. It’s more normal to have them than to not have them. So, I’m sure that some friend or work colleague or loved one will benefit from transforming their mind-set around weight management. Thanks for listening to the very first Thursday Therapy and I’ll see you real soon. Hey Buddy!, I found this information for you: "EPISODE 1 Do I Need a Weight Psychologist?". Here is the website link: https://www.weightmanagementpsychology.com.au/episode-1/. Thank you.